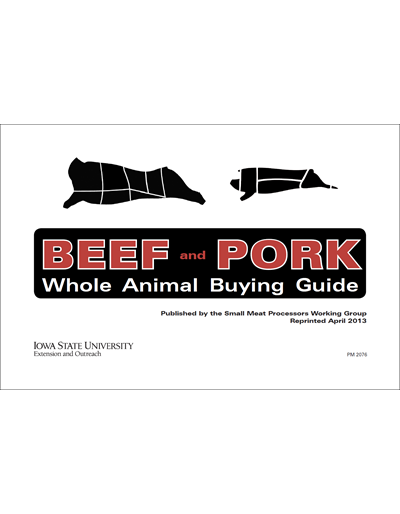 This black and white consumer-oriented guide explains buying pork and beef as whole animals (or portions thereof). 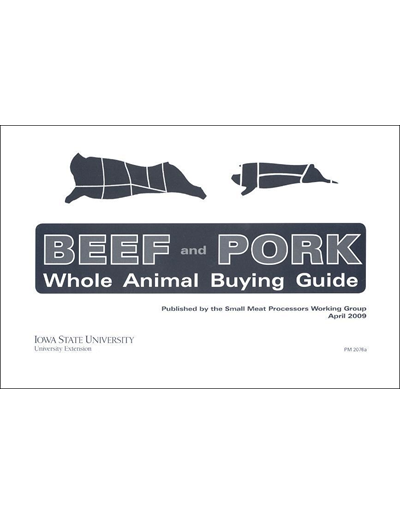 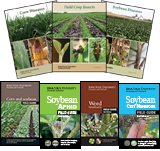 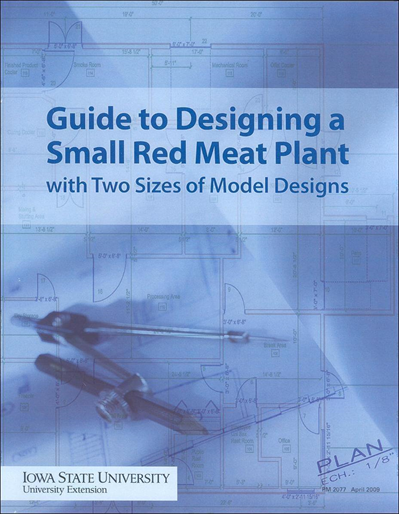 Includes marketing terms and information on storage and handling, meat inspection and meat weight, and common retail pork and beef cuts. 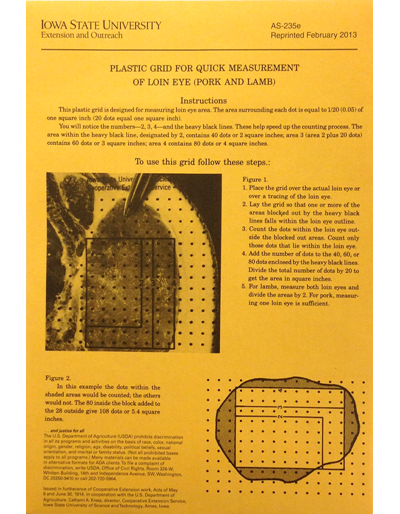 Saddle-stitched, paper stock meant for promotional use.